But the mailer, which was produced by Lancaster Mayor R. Rex Parris, is nothing more than a lie-filled hit piece, and there is plenty of evidence online to prove it. This according to community activist Veronica Fields, who organized the March 29, 2012 Hoodie March for Solidarity Against Stereotypes – the event referenced in Parris’ political mailer. 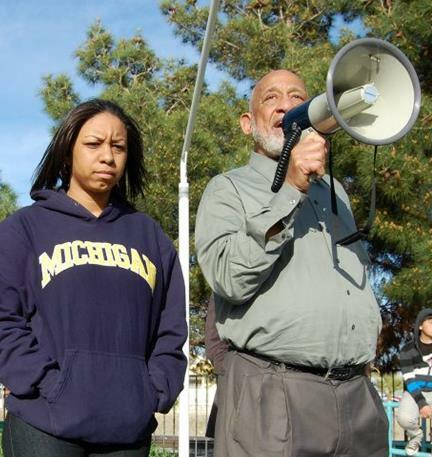 Fields (left) shown at the 2012 march with Bishop Hearns, said Mayor Parris is twisting the details about what actually took place at the Hoodie March. 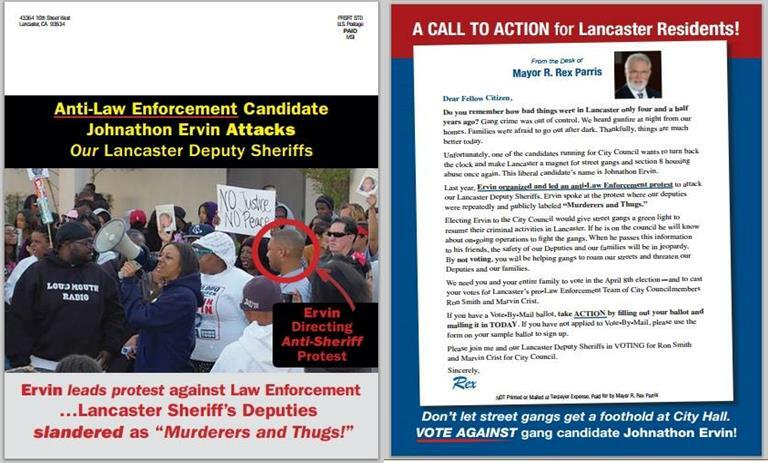 The front of Parris’ political mailer reads “Anti-Law Enforcement Candidate Johnathon Ervin Attacks Our Lancaster Deputy Sheriffs,” and it features a picture of Ervin at the Hoodie March. The back of the mailer contains a letter from Parris, which claims the march was an “anti-law enforcement protest” where Lancaster deputies were repeatedly and publicly labeled “murderers and thugs.” But Fields pointed to several online videos taken from the event, which she says prove that Parris is lying and that the mayor actually supported the march in 2012. 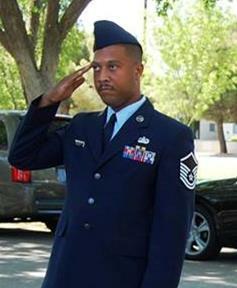 Ervin served 10.5 years active duty and is currently on his sixth year as a Master Sergeant in the Air Force Reserves. Read The AV Times coverage of the 2012 Hoodie March here. Ervin was just one of several speakers at the march, Fields said. Other speakers included Lancaster Mayor Emeritus Bishop Henry Hearns; current local NAACP President V. Jesse Smith; Antelope Valley Fair Board member and Palmdale Sheriff’s Station Community Advisory Committee member Lilia Galindo; Lancaster Citizen Elections Committee member Darren Parker; Lancaster Neighborhood Vitalization Commissioner Stan Muhammad; Lancaster Human Tapestry Relations Commissioner and Lancaster Sheriff’s Station Community Advisory Committee member Dr. Miguel Coronado and others. Coronado referenced the local sheriff’s department during his speech, Fields said. Still, Coronado was later appointed by Parris to serve on a city commission and selected for the local sheriff’s community advisory committee, Fields pointed out. In addition to labeling Ervin an anti-law enforcement candidate, Parris’ political mailer also implies that Ervin supports street gangs. “Electing Ervin to the City Council would give street gangs a green light to resume their criminal activities in Lancaster,” Parris’ letter states. View the entire mailer here. “Enough with the bully tactics, let’s build a better Lancaster; and that does not start with running negative ads or promoting lies in a political smear campaign,” Ervin stated in a news release. View Ervin’s entire response here. Ervin also called on incumbent candidates Marvin Crist and Ron Smith (whom the mailer endorses) to denounce Parris’ negative ads. 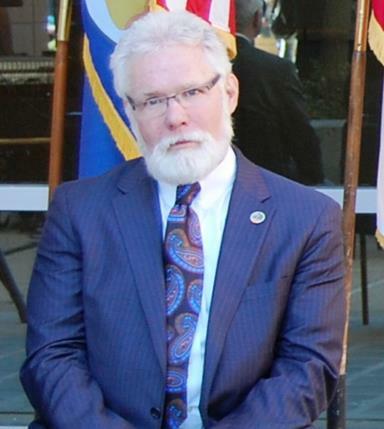 Lancaster Mayor Rex Parris acknowledged that he is the source of the mailer, which will arrive in the mailboxes of Lancaster’s registered voters as early as today (3/20/14). Contacted by phone Wednesday, Crist said he had not seen the mailer, Parris did not discuss it with him beforehand, and that it was entirely the mayor’s doing. Parris is standing by his decision to put out the political mailer. The Lancaster city election takes place April 8. The last day to register to vote is Monday, March 24. 87 comments for "March organizer: Parris political mailer is a “flat out lie!”"
The ‘internets’ are no friend of Rex Parris. I guess he didn’t count on social media and these websties giving him a run for his money. All he can do is send out those stupid and disgusting hit mailers from the last century. It’s long over due that Rex get out of office. All the building up the blv unnecessary construction work done to the streets there are hardly no activity for our youth we need more sporting events for the youth start building stuff like that. Focus on jobs coming out this way maybe crime will go away. Lancaster is no longer this small community its growing. Rex seems to think its the same like in 1996. Our current Mayor is a Master at manipulation. He is working to divide and conquer once again. VOTE if you can and give rides to neighbors, so they can vote. First of all, I am not running for Mayor at the moment; so I have to work with the current leadership at City Hall. My job is to take the people’s voice to the council and pursue the will of the people by influencing, persuading, and being diplomatic with current members. I have integrity, cultural understanding, intelligence, and I am an excellent motivator; promoting peace and understanding between all ethnicities, social economics, and cultures. I would have accomplished everything if I am able to get along with my counterparts, and I will accomplish even more as a LEADER with my own convictions and morals to make tough decisions against contrary believe. MY LEADERSHIP STYLE IS DIFFERENT and its routed on ethos!!! Test me -Fair Question- and you will be thoroughly impressed by my leadership traits and style. I have been trained by the World’s most POWERFUL ARMY as a commissioned OFFICER groomed to lead, place the mission first, and always take care of people. It’s about the PEOPLE. I gain nothing if I cannot negotiate for the people that elected me. I encourage you to speak to me in person or set a town hall style event where we can share this dialog. Rex looks a little blasted in that picture,doesn’t he? Perhaps all tht lying and conniving is getting to him, we can only hope. How do concerned Lancaster voters make sure that the April elections ballots are counted properly? Can they get an observer? Does anyone really trust Rex & Co. do handle the ballots honestly? Hasn’t there been funny business in the past and this election is a critical one? Send letters to the Valley Press. Keep Rex’s disgusting hit mailer and tactics in the news till the election. It will help Jonathan Ervin and do damage to Crist and Smith in the process. The mayor totally blew the timing on this one. He was no doubt trying to catch the White absentee voters before they mailed their ballots in, but he gave the opposition plenty of time to organize. Methinks he got hoisted by his own petard! this newspaper you refer to is a republican paper. you know who they are going to endorse, you guessed it the clique. great try. This whole situation just reaffirms my choice to vote for Mr. Ervin. It was not Law Enforcement that puts criminals back on the streets, It is dirt bag attorneys that are nothing but spin doctors confusing the facts of a case!!! I know officers that get so frustrated after doing hours,Days,months of work just for the suspect to be let go. In response to the question about what I have accomplished as a regular speaker aka known as ‘shadow councilman’ at the Lancaster City Council meeting, I have, firstly, stood up for the 156,000 residents who, at times, had no voice before the council. When I began speaking three and a half years ago, the council completely igrnored me. As time went on they began to respond and act on things that I proposed such as how to fill a council vancancy, the agenda of the meetings, finances, etc. Now, they discuss and dialog with me when I get up in front. In short, they act like a city council. However, no one challenges Rex but me. He does sometimes agree with me like when I proposed that the April city election be changed to November with the General Election, so more poeple will vote. I believe my trips to the podium have contributed to a better city government. Thanks for the question! Michael, you do not challenge Rex! You’re behavior towards him is akin to a sycophant and your trips to the podium are self serving and suspicious at best. I’m a Christian, but I think one of the most foolish fights that Rex started was over prayers at council meetings. That alone is evidence of the stupidity and misguided priorities of Rex. The AV Times got this one right. What I find amazing is that there are a bunch of white people on social media spouting off that the mailer is NOT racist. I guess the question I have, as a white person, is if that mailer isn’t racist, what in the world WOULD be racist? I truly, truly, hope that the communities of color finally rally together and vote out Rex’s cronies. Rex has tried to buy off many of their leaders with commission seats and donations to their non-profits, but this has got to come from the grass-roots. I am only casting one vote in this election, and that vote will be for Johnathan Ervin. I urge all Lancaster voters to do the same. What specifically is racist about it? It seems like scare tactics, but I don’t see it as racist. You have the power of two votes. Why would you, in all sincerity, only exercise one vote or half your power. Fair question Mr. Mejia. The biggest problem in the City of Lancaster right now Is its mayor. What are you going to do to get rid of this blight on our City? How you answer that question will determine whether or not you get my vote. The biggest problem I see with the city is that people do not come out and vote. I even hope you come out and vote or tell people to come out and vote. The issue here is voter turnout: YOU GET WHAT YOU DON’T VOTE FOR. So this is where you and I part ways. You think the biggest problem is that people don’t vote, I think that the biggest problem is the Mayor of Lancaster and you have absolutely no plan to do anything to try to break the logjam of progress except say that you will try to get along with him. That’s not what I call proactive leadership. You seem to be one of those people who think that if you’re just nice to the Mayor, he’ll like you. Sorry, it’s been tried. Just ask Steve Knight. Quoted from FB By Mr. Mejia “Thank you Linda B Vasquez. Mayor R Rex Parris is a smart man who is making the right decision for the benefit of OUR city. I accept your offer Mayor Parris, but I want to see where the residents of Lancaster would like me to serve. If it is the City Council, they will come out and vote for me on Tuesday April 8th.” You are exactly right Fair Question Parris is the problem and Mr. Mejia is proven to be an opportunist by accepting an appointment from Parris. sorry oscar. you lost my vote. paris is the problem. if you can’t see that you’re not fit to serve. looks like i will go with the bullet vote concept. ervin is the only candidate who knows what paris is all about and the only one he can’t buy. that scares rex and give me great pleasure knowing that we the people will finally have a voice at city hall. Oh for crying out loud! ANOTHER schmuck looking for crumbs from the Parris table. Where does Rex find these guys? From the “needy, desperate and opportunistic” catalog? That’s not quite true Mr. Mejia. Voting twice does NOT double my power. If I feel very strongly about you, but only moderately about Sgt. Ervin, and I vote for him too, my vote for him might push you out. By bullet voting, my vote counts for twice as much because it doesnt negatively impact my favored candidate. Please don’t take offense, but if everyone else thinks this way, we will go nowhere. I don’t take offense at all, but if everyone else thinks this way, and if they act on it, Johnathan Ervin will be on the City Council. I don’t call that “go(ing) nowhere.” I call it a huge step forward. I’m sure you’re a nice guy, but we don’t need a nice guy right now. We need a fighter, and MSgt. Johnathan Ervin is that fighter. Thanks. I’ve never heard of ‘bullet voting’ before. This is what Wikipedia says about it. It might be the way to go if many people only cast 1 vote and that is vote Jonathan Ervin. Time to use every legal tactic available against the Rex Machine. “Bullet voting is a tactic in which the voter only selects one candidate, despite the option to indicate a preference for other candidates. They might do this either because it is easier than evaluating all the candidates, or (depending on the voting system in use) as a form of tactical voting. If enough voters bullet vote, almost any voting system functions like a plurality voting system. This is generally considered a poor result, as many voting systems are intended as reforms or improvements that avoid or minimize some alleged disadvantages of plurality (aka first past the post). However, if voters bullet vote as a conscious strategy to express their meta-preference that candidates with strong support are preferable to “compromise” candidates with broad support, it may not be a problem. This tactic is possible in any voting system that does not require ranking all candidates. In practice, this is the majority of voting systems as actually implemented (as opposed to in theory), since to reject ballots that do not rank all candidates risk an excessive number of spoiled ballots. However, it is mainly an issue in voting systems that reward this tactic—primarily approval voting, and to a lesser extent range voting—and in those that do not significantly penalize it—primarily instant-runoff voting and a non-standard form of Borda count. Still waiting for your answer Mr. Mejia. Are you going to be one of those, “go along to get along” type of candidates? I don’t know if you’ve noticed, but the Mayor of Lancaster is the elephant in the room. You’ve got to say something about it. I would have accomplished everything if I am able to get along with my counterpart, and I will accomplish even more as a LEADER with my own convictions and morals to make tough decisions against contrary believe. Yeah, I think you’ve been tested, and failed! What we DO NOT NEED is another Rex groupie. Let me guess. He’s already had you over to his office for a talk. I hear Rex is on facebook offering you a commission seat. Since he dumped Miguel Coronado last night on the LA news, you must be his new Hispanic. Best keep in line. Oscar… I find it sad that since I have tried to contact you and ask you questions with out any response, That is disappointing. You have already accepted a commission position by Rex on a blog site. You sing Rex’s praises, so how can you lead when he is grooming you to follow. One of the first hit mailers against Mr. Ervin clearly showed you as an endorsed candidate yet you have never shown any remorse for that style of campaigning. The mayor Lies, uses divisive comments, exploits his commission members, Lies about both crime statistics and murder rates and you think that’s ok.
You are in no way capable of having an independent vote if this is who you are. Mailed my absentee ballot yesterday. May the best man and/or woman win. Thank you AV Times for publicizing the article and keeping us informed. Dirty politics is just one more vile part of the erosion of our society. If dirty politics show the erosion of society, then society has always been eroded because politics have always been dirty. Oh. Then it’s all okay. Thanks for clearing everything up AV Folk. No problem! History is hard. It’s more fun to pretend everything was great and now its terrible. Keep the blinders on never mind! I am a crime victim and my perp got away with it. So even though I’m a little old white lady, I identified with Trayvon Martin and went to the more spontaneous march that happened in Lancaster when his murderer got off last July. Rallying to honor Trayvon Martin’s case is A Rally In Favor Of Law Enforcement, bk some of us are tired of rapists and murderers getting away with it. Somewhere Lancaster’s mayor missed that message. I Am Astonished. I expected to read the news today saying Parris denied a mailer this horrible came from him. I am voting for Ervin not bk of this, but bk of his Air Force record, which I think reveals character. I am one of those who used to like Parris, but I am also new to Lancaster. This mailer is so shocking that I’m I’m I’m I’m… shocked. Do we vote for two people in the April 8 election? Ma’am, it should be indicated in your sample ballot how many you will be allowed to vote for. Nice to see your comment, and just more proof that these were not as racially motivated as they were made out to be. Rex wasn’t at the rally but he thinks he knows exactly what happened. Everything about the Treyvon case and demonstrations was racial. The media and people like Jesse Jackson made it that way. Maybe you were there protesting against violence generally, but that ignores much of the reality that surrounded the Treyvon case. Time for him to go! Are people writing comments here about Rex also sending letters to the Valley Press? Even if you don’t subscribe, send them anyway. Keep them as factual as possible. Letters criticiizing Rex, Crist and Smith might not change any minds but they might discourage people from voting for them or even voting at all. Unfortunately, that’s a tactic that politcal parties (GOP) depend on-low voter turnout especially of your opponent’s base. Rex counts on low voter turnout. He has a reliable base that loves his style of dirty politics while they pray on Sundays. God knows that. Rex’s big mouth has shot his candidates in the foot only weeks before the election. LOL!! Thanks to the AP this story is all over the US and abroad. I even found it on the Times of Mumbai! LMAO!!! The reality is more people are interested in posting comments on this site than taking action at the polls. Sadly R. Rex Parris won re-election with just a little over 6,000 votes. In a city of our size to only have around 7,000 people vote for our leader is sad in itself. It is not enough to cyber talk, we must get out and vote if you truly want change. I am still shaking my head at the fact that so few turn out to vote. In a city of about 160,000 how does the elected mayor win with 6,000 votes? So I would like to ask is Rex the problem all by himself or does some of the blame lay on the shoulders of all those who sat on their ballots? rex is the problem and the solution is to vote out him and all his yes men. it starts april 8. one vote for ervin at the ballot box. it will get someone in who is not a rex yes man. then shed light on the rex shenanigans and watch the others drop like flies. rex the liar and racist is scared to death of an ervin victory. get out and vote april 8 and send marv and ronnie packing. Most of you here commenting don’t even vote! Don’t talk about it be about it! R Rex is a racist being a black male in A.V is not good . So being a black man running for city council isn’t going to be easy don’t believe R Rex he’s a racist and lier ! time to start recall efforts. signed – this guy is a loony toon – its time for him to go. You folks have to realize that although Rex didn’t attend the rally, he is an expert on exactly what happened and based his hit mailer on second or third hand information like any smart person would. Now, do you understand? He also is an ‘expert’ on climate change and how very clean natural power plants can kill children miles away. How many Rex’s does it take to screw in a light bulb? A. Just one. In fact, he can screw a whole city and its neighboring cities. Does the ‘congregation’ that is Rex’s ‘base’ and votes him in every time approve of his lying. Nope. Just psychotic megalomania with an inferiority complex…. Here’s a question for Michael Rives. What accomplishments can you list regarding all of your appearances and participation at Lancaster council meetings? Have you make a difference? I know you are diligent regarding those meetings and read everything related to the issues but you need to provide some evidence that you’ve been effective. Don’t forget about Mike rives he is also in the runnings vote out Ron and Marv rally behind Ervin and Rives for council! I hadn’t realized Ervin was out racial politicing. Annoying b/c I want to vote for him, but I think the whole Treyvon thing turned into a ridiculous bash whitey exercise. Now knowing Ervin was out there… well that makes me nervous. As far as Rex suppporting the march, that’s kind of a given. Anyone would have to say that to keep from being labeled a racist that is insensitive to the pain of the black community. I will still vote against Rex, but am not impressed with Ervin or Mejia. Ahhhh hahaha both funny and sad. African Americans gathering makes you nervous? If that’s all it takes, you never intended to vote for any AA man anyway. He might meet with other African Americans, and you’d get all jittery! Guess you need to speak to Rex if this kinda thing makes you uncomfortable. As Rex put 5 people who were speakers at this event on his commissions. Take a look at what Ervin said! Don’t fall for the Rex scare tactics! This was a rally to end stereotypes. This was about improving Lancaster for all residents and we need to rally around a candidate who has stood up for all residents no matter their skin color, creed, religion or any other factor!! Being at a rally like this is not standing up for white middle class and upper class residents. First of all, injustice is injustice regardless of color. Johnathon has stood up for residents regardless of color. Stop making this about race. Look at his candidate statement, he opposed opening more liqour stores throughout the city. Johnathon opposed the Walmart that would be build across the street from QH High School. and he is a vet. Something Rex has never been! You hit the nail on the head, Mr. Ervin went against Rex and was for the citizens of Quartz Hills, the students, the mom and pop stores. So while he was off serving his country Rex and his yes men/women voted him off the city planning commission and then Rex concocted a story about Mr. Ervin and a supposed bribe. Once again Rex was proven to be a liar. Enough is enough fellow citizens, how much more will we allow Rex to do. Lets start by voting his yes men out. Lets show Rex he might be rich but we the citizens are righteous by our votes. I might be poor but I know which Master I serve. But I am not running against Rex. I do not understand the point of your comments. I’m lumping your wanting to rename streets after civil rights leaders with Ervin’s presence at the rally as being instances that are similar in my mind as trying to make race an issue. Master Sargent Ervin is not racial politicking it is your mayor who said that. Rex Parris is counting on you to be dumb and easily led. Rex brought Up the march in his hit mailer and then twisted and flat out lied about a peaceful gathering for peace and unity in our city. Ron Smith lied and said “I was there and it was anti sherif” is that who you want on the council a proven liar? Rex apologized for being caught in his lie when he knew the truth all along. He is just sorry he got caught and threw one of his own under the bus to cover his tracks……Bad Santa. Please don’t be misled Rex is counting on it . Get out and vote for whoever you want the important thing is to vote and make Lancaster California better and corrupt free. If Rex spends money on a mailer like this, he has first spent money on polls which say you are a threat. Good point, Dave. It also means that Parris had no REAL dirt to throw and had to resort to this pathetic failure of a mailer. To all you Parris apologists who keep asking why Parris has got to go… THIS IS WHY! The twisting and flat out lying of this mayor regarding an event that HE OPENLY SUPPORTED to try to discredit Johnathon Ervin with just plain unbelievable lies is a prime example of what Parris is made of. If you are a Parris supporter, THIS is what you support. There are good people in Lancaster. When are they going to stand up and show Rex Parris that ‘enough is enough’ with his type of divisive and ugly politics? He’s hurting them and their city. Replacing Marv Crist and Ron Smith would be a great start. Voting is easier than a trip to the supermarket and can make the biggest difference in the quality of your life. You can spend a lot of money on a new car or a vacation but if you live in a city run by the likes of Rex & Co., you’re no better off in the long run. Remember those folks in Florida that waited in line for 8 hours to vote in 2012? That should be an inspiration for everyone, every election. They are the true patriots not those folks who wave the flag and thump their bibles while doing the exact opposite of what those stand for. Look at how Rex uses religion and veterans to cover his shenanigans. Rex sits under the words “In God We Trust” in council meetings, then sends out a disgusting and dishonest hit mailer on Jonathan Ervin. I hope Rex’s beard is fireproof when lightening strikes him from above. This is a great snapshot into the world of dirty politics. It’s interesting to see people get so fired up about the local government, but we shouldn’t forget about the clowns that exist on the county, state and federal level. Maybe I’m a skeptic, but I really don’t see how a change in local government will drastically improve our quality of life….other than a better piece-of-mind knowing our flimsy tax dollars are being spent properly. Ervin seems like his head is on semi-straight. However, jumping on the race wagon with this ‘hoodie’ march was a complete joke. To claim you are against racism, yet, twist an isolated incident into a local outcry for blacks isn’t logical. Hopefully we all realize there has been several ‘black on white’ attacks/murders that simply aren’t covered on national media. If we all claim to be ‘non-racists’ – then the Martin tragedy wouldn’t have gotten nearly as much attention as it did. How about education, gang violence, poverty, mental illness…. There are plenty of things we could go on a March for. However, Ervin wants to march for one murder that we all won’t even know all the facts about! Is Paris a clown? Yes! But let’s all remember to keep our thinking caps on. By the way, before all the nasty replies…I completely admire Ervin for his service to our country, just strongly disagree with some of his views. Spoken like someone who wasn’t there. The speakers talked about senseless acts of violence and MORE than mentioned a horrible murder on a local white business owner, and the black man who killed him. An attack on minority youths by other minority youths in Palmdale was also spoken of, and over and over and over the cries for unity among ALL people. But hey, it sounds so much better to those in Lancaster to insist this was a black thing only! Disgusted, Most of your post is about the Martin tragedy, the Hoodie March wasn’t. if someone is sitting on a pot of gold, that’s real estate here. you got two ”yes” men fronting for you this guy gets desperate when opposition is eminent. you heard of the billionaire investor who has taken over an real estate company and has solar sites in the A.V.. this guy sitting on this pot of gold throws up a vicious facade to misled you for his own purposes. this facade is this mailer. To clarify… the facade is the mailer, the pot of gold is solar power, he’s planning to use eminent domain to get the gold, Rex and someone else are sitting on the pot of gold, and a billionaire is planning on stealingthe gold? I will ask. Who is this billionaire investor you are referring to? Rex has been running the city of Lancaster like it was his own little kingdom for years. He has, and his wife, have dogged legal issues using his clout to get out of it. He stopped putting the cities needs before his own a long, long time ago. His supporters are blinded by his Santa like appearance, plus the are the type of flock that wouldn’t run as they were being lead to the slaughter. Wake up Lancaster! It’s time for a change. Maybe Ervin is the guy, maybe he isn’t. Ultimately though…Rex needs to GO! buffett is the investor curious. his coming in for a buffet. Off topic, but I wonder if Mrs. Parris is on probation as is Tim Donnelly for attempting to bring a loaded gun on a commercial aircraft. They both say they forgot. Seem rather irresponsible to forget one is pack’ng. Please know I am not against responsible gun ownership. Rex is the master, the MASTER, of projection. He’s the guy who says Mayor Ledford runs Palmdale like a ‘fiefdom’. Simply amazing considering that’s exaclty what Rex has been doing in Lancaster lo these many years. Remember, anything Rex says about anyone else means he’s doing it 1,000 times more. That’s how his brain works. It puts his pathologies and faults on others while he plays the innocent victim. He blames at-large council seat elections in Palmdale for his not being able to work with the city. Poor Rex. Poor, poor Rex. He just wants to be able to buy council seats cheaper and easier if Palmdale goes to districts. He as much as admitted that this past Monday on Time-Warnet Channel 3 News while playing the pathetic victim. Replacing Crist and Smith will put Rex on notice that he’s next. Do it, Lancaster. You’ll be glad you did. My worry about the vote is WHO WILL BE COUNTING THE BALLOTS????? Rex’s people are in key positions in all aspects of Lancaster’s city government. Makes you wonder! Money and favors talk if you know what I mean, the sleeper must wake up. There is an old saying ” I see said the blind man”, citizens of Lancaster lets make our city government as clear as our beautiful blue sky we look at every day. A start is our decorated war vet, Master Sargent Jonathon Ervin who has proven he is for the common hardworking man and woman. Who is a problem solver that’s what Engineers do, solve problems for the good of all. A large banner on the flier says “Vote against gang candidate Johnathon Ervin”. I hope voters are smart enough to know gangs are not promoting a candidate. Makes one wonder why the flier did not go even go farther into yellow journalism and accuse Mr. Ervin of being a Nazi. The flier is slanderous dirty politics and unbecoming of the mayor. Please vote on April 8 whatever your opinion and party.